Amanda Færk is the Assistant Director of V1 Gallery in Copenhagen, which is committed to introducing art by emerging and established artists to an international audience. Seeing art as a profound and competent media for social and political discourse, the gallery aspires to serve as a platform for art that interacts with the surrounding society. We are honored to have her as a part of our stARTup Los Angeles 2019 Selection Committee. Here's what's opening at V1 Gallery. Alicia McCarthy’s energetic works weave together colour, pattern and occasional lyrical or understatedly profound phrases. The artist is drawn to the discarded. Digesting the city’s landscape, ambivalent everyday items sheared from their original intent are appropriated into intimate art objects. Abandoned wood is scouted and repurposed as a foundation. McCarthy applies house paint, coloured pencil, liquid graphite and spray paint transforming recycled materials into art objects with a folk, DIY and punk aesthetic. Most of the new works combine various abstract gestures while maintaining a very physical presence. They are subtle, radiant, complex and emanate an immediate and honest energy. Alicia McCarthy is one of the core figures of what is now known as “The Mission School” together with Barry McGee, Margaret Kilgallen, Ruby Neri and Chris Johanson. Named after San Francisco’s Mission District where the artists lived and worked in the 1990s when it was still a pre-gentrified low-rent neighbourhood. The group came together around independent music, skateboarding, graffiti, community driven projects, queer politics and zine publishing. The Mission School favoured found materials to paint and draw on and turning them into sculptures and installations. Influenced by their rough urban surroundings, the natural beauty that encapsulates San Francisco and their mutual interests, they started making art that carried a myriad of sentiments, simultaneously upbeat and downbeat, abstract and figurative, harsh, humorously tender, repetitive, old fashioned and avant-garde. Alicia McCarthy, born 1969, lives and works in Oakland. She received her BFA from San Francisco Art Institute in 1994 (MFA from University of California 2005). In 2013 at the same institute, a large group exhibition titled Energy That Is All Around: Mission School, curated by Natasha Boas, would survey the work of McCarthy and her colleagues. Other recent exhibitions include White Columns, New York, Grey Art Gallery, New York University, Jack Hanley, New York, and Berkeley Art Museum, Berkeley. McCarthy has taken part in several group exhibitions at V1 Gallery, this is her second solo exhibition with the gallery. Little Savage is a place to explore. Barry McGee, born 1966, lives and works on the American West Coast in San Francisco. He works in a wide variety of media; painting on wood, ceramics, drawing, zines, photography, sculpture and large-scale installation. McGee refuges hierarchies of material or subject matter and all formats are treated equally. McGee's artistic style incorporates a multitude of inspirations – American folk art, sign making, op art and graffiti. His work is influenced by, and reflects upon contemporary society, especially those that tend to be left behind by it, or choose not to play by its rules. In the recent body of work McGee pushes his imagery into the iconic, figures and shapes are barely indicated, then repeated and mixed with abstract patterns. 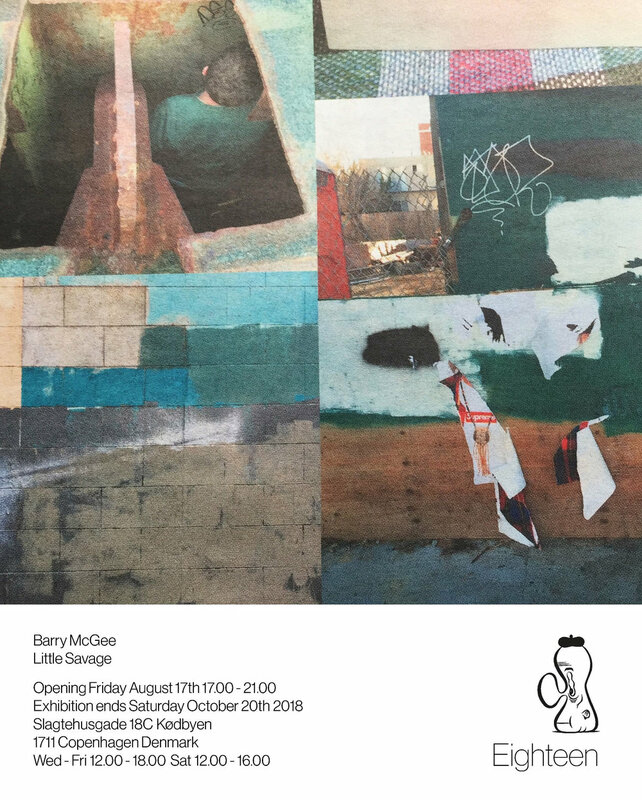 McGee has recently been the subject of three large survey exhibitions at the Modern Art Museum of Ft. Worth Texas, the Berkeley Art Museum and the Institute of Contemporary Art in Boston. 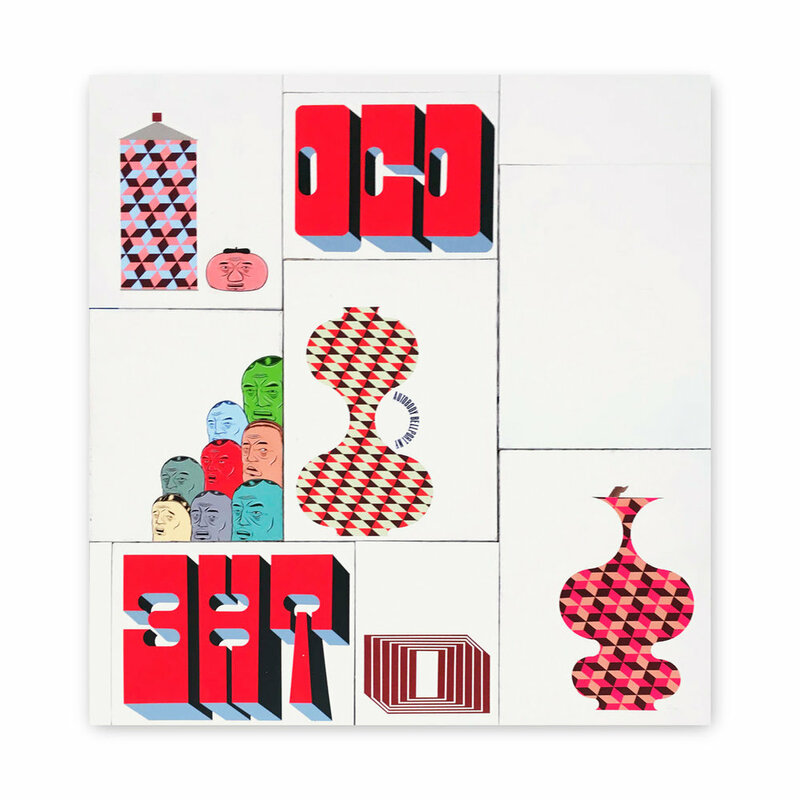 Little Savage is Barry McGee’s first solo exhibition with Eighteen. He has previously mounted and curated exhibitions at V1 Gallery.